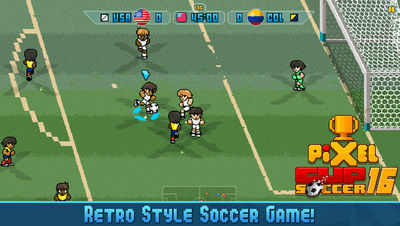 Soccer fans, welcome to the funnest retro style football game you'll ever play. Pixel Cup Soccer 16 is a fast-paced pixel-art soccer game featuring gorgeous old-school graphics, fun characters, and competitive gameplay! - Simplified controls for casual players. Only Shoots, Passes and Tackles. Enjoy this 2016 edition!